Performing a content audit for your local business’s web site might be a very tedious and time-consuming task, but it’s an important one, nonetheless because it can be rewarding and beneficial for your web site. Content audits are advantageous for you as an online marketer and business owner because they help you organize and keep track of your content inventory by creating a web site content audit checklist. However, they’re also extremely helpful because they make it easier for your current and prospective customers to navigate your web site and ultimately help users reach their goals more efficiently when visiting your site. What Is the Main Purpose of a Web Site Content Audit? 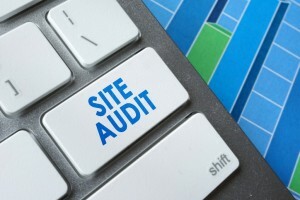 As you may have already guessed, web site content audits serve several important purposes. First and foremost, they help you stay organized and become familiar with every aspect of your web site. By auditing your content and keeping a detailed inventory, you can meticulously sort through each section of your web site and decide what’s important enough to keep and what needs to be replaced, removed, or updated. This will help ensure that all content on your site is relevant, fully up to date, and satisfactory to your users. More importantly, it makes it easier for your users and potential customers to sort through the content on your web site and find exactly what they’re searching for. The key is to make sure that the content on your web site is optimized effectively enough so that it ranks high on SERPs, but you don’t want to be obnoxious about it. For instance, it’s a huge mistake to post content that’s absolutely littered and over-packed with keywords just so your web site breaks the top 10 on a SERP. Remember, the content you present on your web site still has to be high-quality, well-written, and full of valuable information for your readers. Otherwise, they’ll see through your marketing ploys and quickly lose interest. One of your main objectives when performing a content audit is to try to find ways to make your web site as user-friendly as possible for desktop, mobile, and tablet users. No matter which medium people are using to access your web site, the experience should be seamless and enjoyable. The last thing you want to happen is for people to get frustrated while searching for something on your web site and then decide to turn to your competition instead. Having a well-thought-out content marketing audit strategy in place can help you succeed where other businesses similar to yours might have failed. Not to mince words, but it does take a great deal of effort and patience. Plus, the results are never guaranteed, but it’s worth having even a minimal understanding of what you’re presenting to your online customers, especially if you’ve been in business for a long time and haven’t updated your web site in a while. In order to maintain a strong relationship with your existing online customers and attract new ones in the meantime, it’s important to make good use of content auditing as an effective tool to help you achieve your online marketing goals. If you’re not confident enough to perform your own web site content audits, then the SEO experts at Numero Uno Web Solutions would be more than happy to do it for you. We’ve helped small and medium-sized businesses as well as startups across numerous industries perfect their web sites. We cater to businesses in Toronto, Richmond Hill, Vaughan, and even some locations throughout the United States such as Texas, Massachusetts, and Florida. For more information on how we can enhance your local business’s web site, please call us at 1-855-SEO-XPRT.